We spend 6 months to conduct the largest study of race results ever. It contains 19,614,975 marathon results from 2008 to 2018 from more than 32,335 races across the globe. The study was conducted by Statistician Jens Jakob Andersen and Vania Nikolova Ph.D. in Mathematical Analysis. Feel free to use any data from the study as long as you refer to this original source. Most participants: USA (456,700), UK (97,254) & Germany (86,032). Marathon running is popular, but not equally around the world. The worldwide growth from 2008 to 2018 was +40.43%. Women are picking up faster than men with a growth of +56.83% while men’s participation rate has increased +46.91%. Surprisingly, South America is experiencing a decrease of 14.4%. And North America is growing less than the rest of the world with 10.97%. Meanwhile, Europe experienced an increase of 42.86%. The big surprise is Africa. Growth from 2008 to 2018 is over five-fold. Asia is also picking up, with a growth of 262.89%. India's participation has also increased by 230%, but China’s participation has actually decreased by 38.42%. In the USA, the growth from 2008 to 2018 has been 10.96%. The popularity is powered by women’s increasing participation rate. Men’s increase has been at 4.95% while for women, it has been a staggering 17.93%. The world average proportion of women marathon runners is 31.36%. Europe’s proportion of women is 25.09%, Northern America is 42.59%, South America is 26.94%, and Asia is 18.51%. Of the 443,878 marathon results recorded for the USA, an amazing 196,586 were women. Some 42.59% of all American marathon runners are women. This is the highest proportion of women for any country listed in this analysis. The USA is also the most gender equal marathon nation. 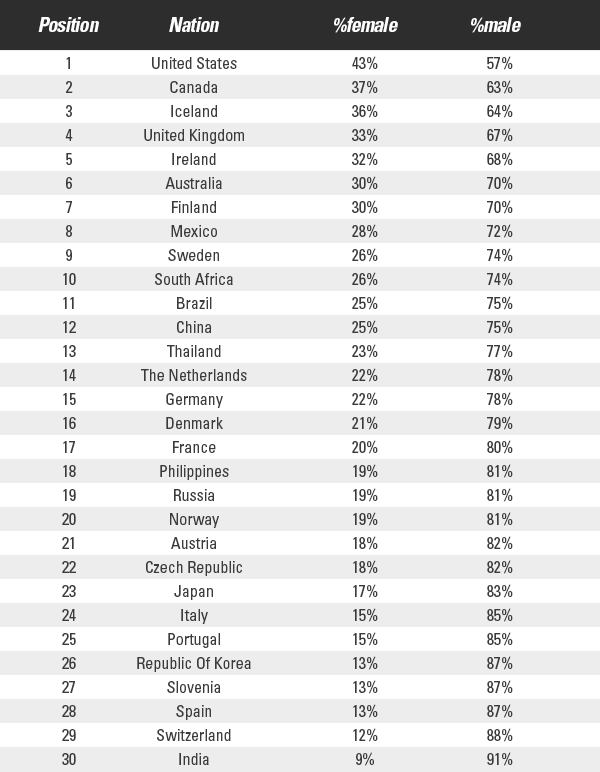 Looking at the list, Canada comes 2nd with 36.63% women, and then Iceland is 3rd with 35.96% women. Those three nations are significantly more gender equal than the rest of the world. The 4th most gender equal marathon nation goes to the UK with 32.84% women. At the other end of the spectrum, you will find India with only 8.81% of marathon runners being women. Switzerland (11.92%) and Spain (13.14%) are also male-dominated marathon nations. The Scandinavian nations were expected to have a high proportion of women. However, results show the proportion of women marathon runners in Scandinavia is lower than the world average. And, also lower than the European average. The world’s average finish time of a marathon was 4 hours 29 minutes and 53 seconds in 2018. Looking at 2008 to 2018, the time was 4 hours 26 minutes and 01 seconds. For men, it was 4:16:35 and for women 4:47:03 (30:27 minutes slower). On average, marathon runners are being slower. 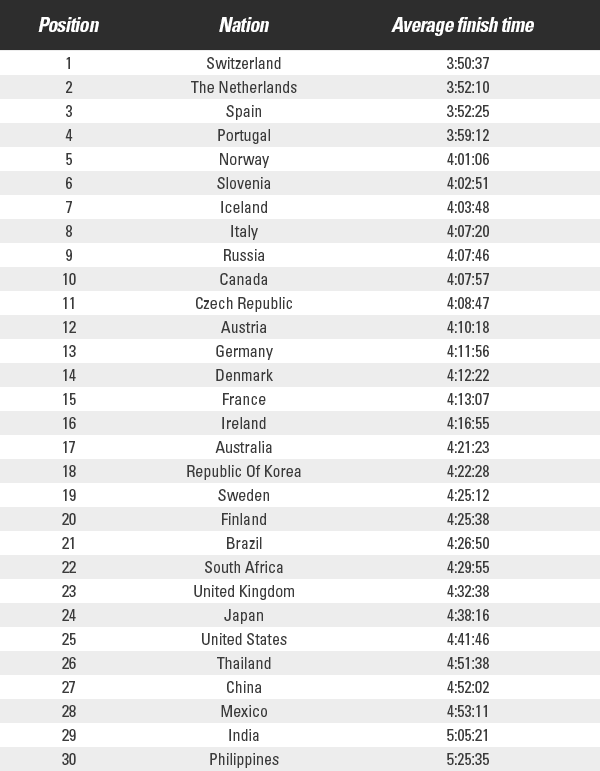 Of all marathon nations, the winner is Switzerland with an average finish time from 2008 to 2018 of 4:03:47. 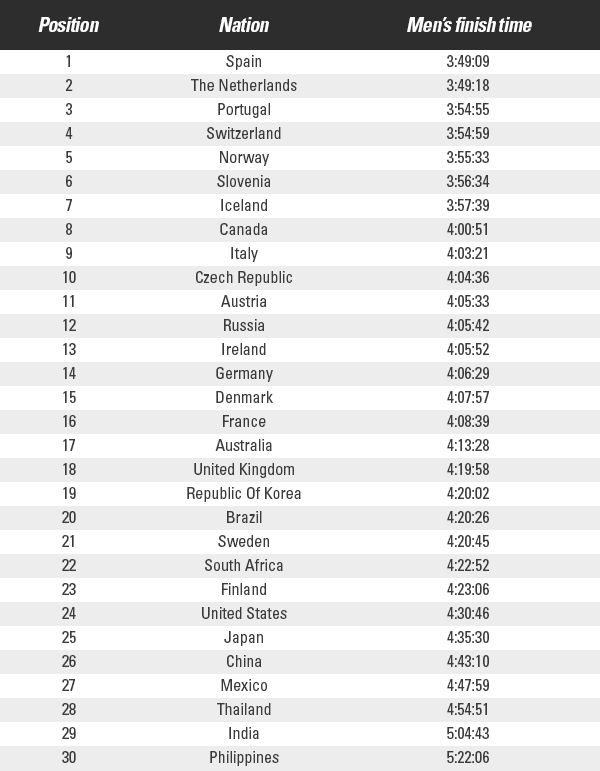 The Swiss are also the world’s fastest marathon nation. In 2018, Switzerland is first - 3:50:37. Second on the list the Netherlands (3:52:10) and third Spain (3:52:25). Looking at the average finish time across continents, you will find Europe positioned first (4:07:20) closely followed by Africa (4:23:38). From 2008 to 2018, there have been some surprising changes in marathon performance. Some nations have become better while others have become worse. The nations that have improved the most are 1) Switzerland (14:56 minutes faster), 2) Russia (12:49 minutes faster) and 3) Japan (11:31 minutes faster). South Korea, China, and Norway are the nations that decreased the most in performance. Respectively, they became 47:09 minutes, 42:16 minutes, and 41:07 minutes slower. One could argue, however, that comparing the marathon performance across nations for men and women compiled would be unfair. Some nations are male dominant, while others are more gender equal. Among the countries included in the study, India is the most male dominant nation and the USA is the most gender equal nation. When comparing each country, one should separate results for men and women. At the top of the list (the fastest men), you will find Spain (3:49:09), the Netherlands (3:49:18), and Portugal (3:54:55). Switzerland comes in 4th at 3:54:59. The slowest nations are still the Philippines (5:22:06), India (5:04:43), and Thailand (4:54:51). Filipino men are 1 hour 12 minutes and 57 seconds slower on average than Spanish men. Over the years, men from Ireland, the Netherlands and Canada are those that have improved the most, followed by all Scandinavian nations (Sweden, Norway, and Denmark). First comes Switzerland (3:49:13) followed by the Netherlands (3:59:04), and Spain (4:12:22). Iceland is positioned 4th among the fastest nations. Slowest are the Philippines (5:44:52), India (5:12:07), and China (5:09:42). Filipino women are 1 hour 5 minutes and 39 seconds slower on average than Icelandic women. From 2008 to 2018 Iceland, Switzerland, and Thailand were the nations improving the most in marathon rankings. The purpose of this marathon race results study was to compare recreational runners. Therefore, elite runners were omitted because including them would create bias in the results, dramatically. We omitted results from marathon races for which we did not have results for all 11 years from 2008 to 2018. We omitted races that did not specify the participant's gender. In this analysis, we looked at 3,446 unique races worldwide, with 32,335 events in total over the 11 years between 2008 and 2018 with a total of 19,614,975 participants. Jens Jakob Andersen was the lead researcher. He used to be a competitive runner and statistician from Copenhagen Business School. This research was funded by RunRepeat.com – a platform that compiles reviews to help runners find new running shoes in an unbiased and data-driven way. Vania Nikola, who holds a Ph.D. in Mathematical Analysis assisted in the study. The platform has no ads and is free to use. If mentioning this study, please refer directly to this page. Feel free to use tables and graphs. 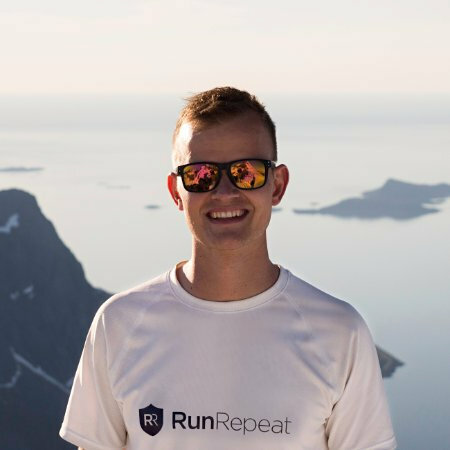 For questions, interviews or other general inquiries contact Jens Jakob Andersen at jens@runrepeat.com or go to the contact page for further details.